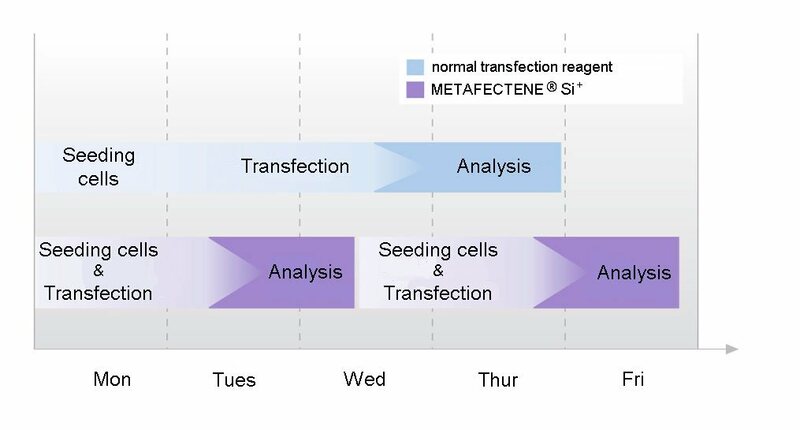 METAFECTENE® SI⁺ consists of a lipid blend designed and optimized especially for siRNA and miRNA transfection. Unlike for conventional DNA transfection, transport of the nucleic acid into the cell nucleus is not necessary for RNA transfection. The development of METAFECTENE® SI⁺ was thus primarily aimed at maximizing the endocytosis volume of the lipoplex plus ensuring rapid and complete release of RNA in the cytosol. 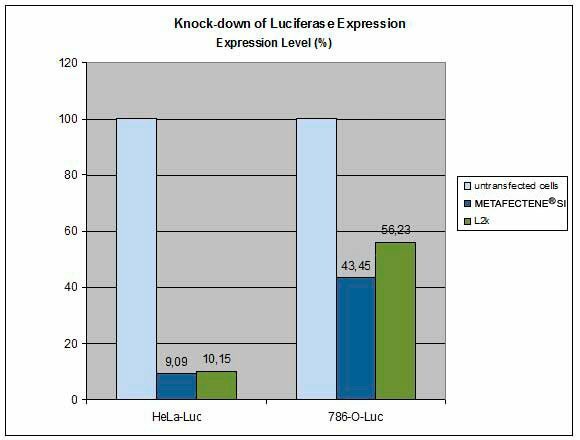 High knockdown rates with low RNA and reagent amounts combined with low toxicity make METAFECTENE® SI⁺ an ideal tool to be used for all cell lines and primary cells.